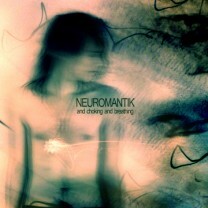 Neuromantik is a project started in 2006. An intense live activity leads them to perform in about a hundred concerts all over Italy including openings to band like These New Puritans, Luci della Centrale Elettrica e Neon. In addition participating in the 2010 edition of Italia Wave Love Festival, sharing the stage with many famous bands including Faithless. Line-up changes, research and continuous renewal form what is Neuromantik now, that in their first LP “And Choking And Breathing” tries to summarize all the influences that since 2006 they have joined, translating into a continuous sound that tells the years activity and growth obtained. At last analog synthesizers, sharp guitars, distortions and drum-machine are the factors that make up the band’s music and, mingling with each other, create the expression that the four are looking for.